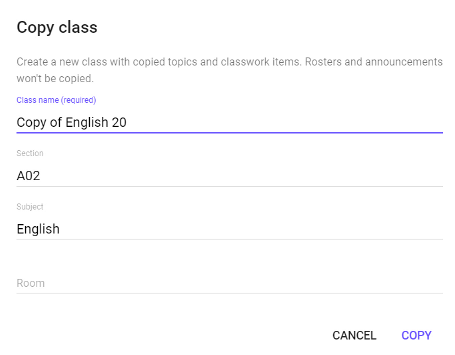 Google Classroom now can copy classes. This feature is only available to classes created after the August 2018 update. This option is available in the kebab menu in the classes dashboard. 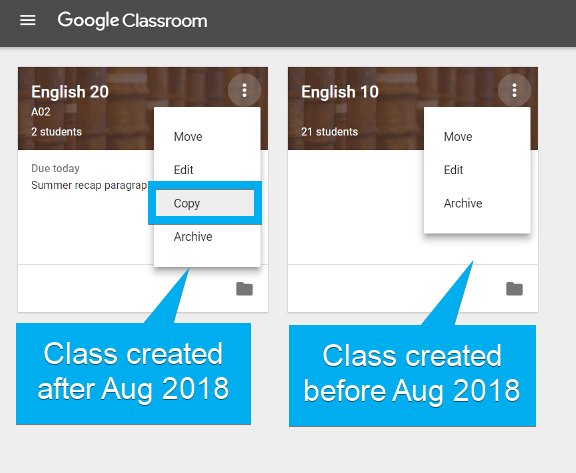 When copying a class, a pop-up will appear so that the teacher can rename the class copy. 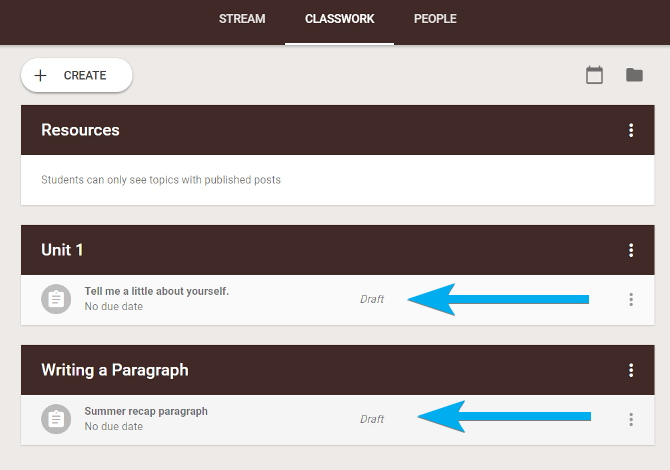 The new class copy will have all the assignments, questions, and topics from the previous class. 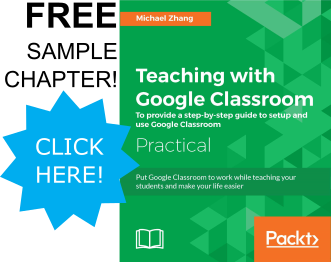 These assignments and questions will be saved as drafts so that the teacher can post them at the appropriate time.